In the Children’s Library is a dedicated ABC Mouse Computer. 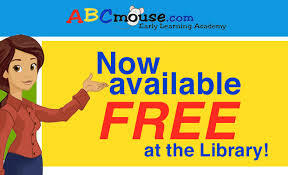 It is FREE to use on any computer in the Library. Come in soon and try it out! Ask one of our staff members if you have any questions. More than 850 Lessons Across 10 Levels.